We help you find the best software for your business, based on over 360,000 validated reviews from real users. Search for Software or Services. With over 1.3 million buyers on our site each month, we help software companies connect with future best-fit customers. Marketing Solutions. We're passionate about helping businesses start-up & scale-up. Wanna start sharpening your skills? Read Our Blog. Depending on your profession, "B2B Marketing" is a phrase you may or may not be familiar with. The vast majority of us receive B2B marketing messages, often on a daily basis. If you have a job, and have even thought about buying a product or service to use at that job, chances are you are a part of the B2B marketing process. In these chapters, we will explore the meaning of B2B marketing, the channels and tactics it uses, and the strategies which result in B2B marketing success. B2B marketing is short for for business-to-business marketing. It's one of the two major categories of marketing, and differs significantly from the other major category, B2C marketing (business-to-consumer) marketing. B2B marketing is promoting products and services to other businesses, typically: (1) at large volumes, (2) with lengthy sales cycles, (3) to multiple decision-makers, and (4) with more complexity than consumer products. B2B marketing can also be defined as the marketing of products or services to other businesses for use in production, general business operations, or resale to other consumers. The first step of B2B marketing is letting other companies know that your business exists, and you have a product or service which will benefit them. In addition to increasing brand awareness, B2B marketing gets companies interested in your brand, and nurtures prospects – with the goal of converting them into customers. Ideally, they will develop a valuable relationship with your brand for many years. Because B2B products and services tend to be more complex (and expensive) than those designed for consumers, developing long-term relationships is critical. While someone probably won't care about relationships if they're searching for the cheapest t-shirt, if they're considering a long-term investment in something like manufacturing equipment, choosing the right partner is vital. Many B2B marketers use traditional strategies, like attending trade shows or employing a team of sales reps, to build and nurture these key relationships. Combining those strategies with digital tools helps them market to many businesses without losing their personal touch – it's the best of both worlds. Let's say a woman named Laura is a sales rep for an email marketing software company. She meets Tom at an industry trade show. Tom works at a graphic design company and shows interest in Laura’s product. Laura adds Tom’s name to her database, and she and her team nurture him in the B2B marketing process. They email him materials which he may find helpful, such ebooks and videos, and invite him to an event. Eventually, Tom becomes a customer. Tom’s graphic design company then uses the email marketing software to nurture his leads. He sends emails to his prospects, which are local businesses. At this point Tom is also participating in B2B marketing activities. Successful B2B marketing combines traditional and digital marketing tools in a way that helps a prospect understand what you can do for their business. Perhaps you can solve a problem they are already facing, or you can provide them with a solution that will make their process more efficient – saving them money in the long run. Whatever benefit your product brings, the goal of B2B marketing is to let businesses know you exist, your product is valuable, and convert them into customers. The goals of B2B and B2C marketing are the same, but their approaches vary dramatically. Trying to treat the two practices like they're identical is a recipe for disappointment. Let's turn our attention to B2C marketing for a moment to highlight why this distinction is so important. Once you understand the nuts and bolts of B2C, it's easier to spot all the areas where B2B marketing diverges. That covers a huge range of situations, whether it's investing in a new car or trying to decide which type of mocha to try at Starbucks. B2C marketing is promoting products to individuals for personal use, consumption, and/or enjoyment. B2C marketing can also be defined as promoting individual products to individual buyers, most commonly in a retail or e-commerce setting. In simple terms, B2C marketing is promoting anything people would buy for themselves. Looking at those definitions, it is easy to think of examples of B2C marketing in your own life. Almost any store you visit offers products that are sold utilizing B2C marketing. Aside from in-store purchases, like shoes and groceries, B2C marketing also includes high-end items like luxury cars and first-class travel. B2C companies also provide services. Examples include massages, photography classes, or assistance from an accountant when filing your taxes. Most of us make B2C purchases every day. We pick up lunch at our favorite taco place, take our iPhones into the Apple store for an upgrade, and stop by Macy's to buy a nice watch for our partner's birthday. A number of B2C transactions happen when people visit stores in person. But thanks to online platforms like Amazon and Zappos, that's rapidly changing. Now, many B2C purchases happen electronically, with products shipped straight to our doors, instead of having to fight traffic and long lines at the checkout. New B2C services – such as Instacart, which delivers groceries – are even popping up based on these trends. One of the best ways to understand B2B marketing is by looking at its characteristics in comparison to B2C marketing. This chart will help break it down. B2B products and services are intended for use by any kind of business. These can include machines and supplies for manufacturers, or software for companies to have a central database of all customers and prospects. B2B purchases usually carry a high price tag. They are being sold to businesses that have sizable budgets, unlike consumers who may have a limited disposable income. There may, however, still be low-cost purchases – think office supplies. The B2B selling cycle is usually long and complex. When businesses make a purchase, it is a commitment. It may be due to a contract, or a lengthy implementation process as employees learn a new software platform. When businesses make a purchase, there is typically the hope they won’t be repeating the process any time soon. Many factors go into B2B purchases. Aside from the fact there is a commitment to make, there may be multiple decision-makers involved in the process. Interpersonal relationships and the quality of interactions prospects have with the sales team may also be a factor. Peer recommendations from other users or customers, including review sites, are becoming a bigger factor in these decisions. B2B marketers are focused on breaking through the professional’s busy work day. Not all B2B marketing takes place online (as detailed in Chapter Two), but a large amount of it does. Chapter two will explain more strategies employed by B2B marketers. B2C products and services are made for and marketed to individual consumers and intended for personal use. Think of the things you use at home or get as a birthday present. B2C purchases are often less expensive, such as groceries or a new shirt. However, they can also carry a big price tag – those 50-foot sailboats aren’t cheap! The B2C selling cycle is often quick; not as much thought goes into these decisions, and there are often repeat purchases – no one wants to risk running out of ketchup! However, some items, such as a new phone or laptop, may have a longer process. B2C purchasing decisions can be more emotional. They may be based on impulse, or want more than need. While not much thought goes into picking up a pack of gum or magazine at the checkout, many consumers are investing more time into researching their purchases. Given the rise of reviews on sites such as Amazon and TripAdvisor, even the simple B2C decision of where to go to dinner can involve research. B2C marketers also use digital channels, such as social media and email marketing, but are often more likely to utilize additional offline channels such as television commercials and magazine ads. Can a B2B Company Also Sell Directly to Individual Consumers? Yes, they can! Plenty of B2B companies also market products to individuals and their households. Google is one example. While plenty of individuals have free personal Gmail accounts, many businesses opt for a Gmail for business. 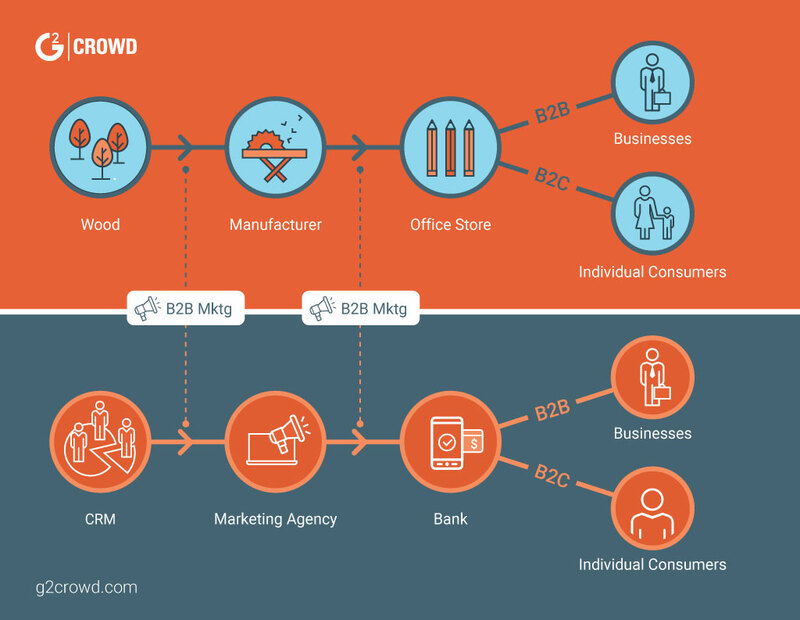 The image below shows a chain of companies utilizing B2B marketing, finishing with businesses that have both B2B and B2C customers. Starting with the first row, we can see a broad overview of the companies involved in the process of turning wood into pencils, and the B2B marketing that takes place between them. In the second row, we can see how a B2B provider sells its database software to a marketing agency. The agency, in turn, uses the software while marketing to its prospects, one of them being a bank, which becomes a customer. The bank then markets to its customers, which can be either businesses, or individuals in need of personal banking. The bank typically has separate marketing campaigns and strategies for each of the audiences. Any business selling to another business uses B2B marketing. Any company trying to sell to other companies uses B2B marketing to help promote its products or services. While these companies aren't as diverse as all those using B2C marketing, there's still quite a range of products, services, and industries involved. Software Companies. Software helps businesses satisfy their customers and operate more efficiently. Whether it's boosting productivity by blocking social media, fostering collaboration with project management tools, or keeping track of work hours and expenses, there's a solution to practically every business need through software. Office Suppliers. Although we're doing more work electronically than ever, it's still crucial to keep workspaces well supplied. Businesses need furniture, phone systems, security cameras, printer paper and ink,ID badges, and much more for employees. Marketing Agencies. Marketing agencies appeal to businesses by offering to help them make more money. Lately, they're focusing on digital marketing as more brands (and customers) take their business online. Demand is sky high for agencies building websites, boosting results in search rankings, and streamlining e-commerce checkout processes. Bookkeeping and Accounting. Accounting and tax preparation are tedious and time-consuming, making them ideal expenses to outsource. Whether it's a large team of accountants or just a single freelancer with powerful software, they're all eager to connect with clients through B2B. These are just a few of the many types of B2B companies. When you consider just how many industries exist, and the resources each require to create their products or services, it is easy to see the massive scope of B2B businesses. Even dentists need to buy their instruments from someone! Everyone in business needs supplies, inventory, and tools to run effectively and serve their customers. This makes every business around – whether it's a corporation on the Fortune 500 list, or a freelance web designer working in their home office – B2B customers. Take a moment and look at your desk. Every program on your computer, every item on your desk – even your desk itself – was supplied by a B2B company, making you a customer to each of them. In turn, each of those companies purchased resources to create their product or services. Working backwards, the chain of B2B providers and customers can seem almost endless! Whether you’re selling office supplies, paper for the printer or consulting services, you are both a business and a customer of other businesses. There are countless B2B companies out there. One of the easiest ways to understand what they do and how their marketing works is to focus on a few specific examples. Accenture. Accenture provides professional services (strategy, consulting, digital, etc.) to some of the world's most profitable businesses. This management consulting company operates across more than 40 different industries. Dolby Laboratories. Dolby Labs specializes in audiovisual products for cinemas. While its focus is on business clients, Dolby also dabbles in B2C marketing by offering home cinema products. Salesforce. This is one of the most popular brands in the highly competitive customer relationship management, or CRM software space. Salesforce CRM acts as a powerful database, giving B2B companies the ability to maintain all of their customers and prospects, with detailed information about each touchpoint they have had with the brand. Salesforce offers many other products for sales, marketing, and related functions. J.P. Morgan. J.P. Morgan provides businesses with a variety of financial services. For example, it offers investment banking offerings (such as raising capital), and provides merchants with solutions to manage the payment process. These are just a few of the many financial services J.P Morgan offers businesses. FedEx. While FedEx does sell to individual consumers, a large percentage of their clientele is B2B. From online stores that ship with FedEx to the many companies which need important contracts signed, sealed, and delivered in a hurry, FedEx provides a vital service to B2B companies. Now that you have a better idea of what B2B companies do and the customers they serve, let's turn to the marketing. There's a huge variety of approaches here – and new methods emerging constantly as technology evolves. That said, the fundamentals of what makes B2B marketing effective have remained constant no matter the medium. Let's highlight some good examples, common mistakes, and then talk about how you can apply the insights to improve your B2B marketing strategies. Caterpillar Machines. This massive construction equipment company is always willing to experiment with its marketing.One particular video, with over 4.5 million view on YouTube, became a viral hit. In the video, different Caterpillar machines play a game of Jenga using massive blocks. This novel concept breathed life into a ‘boring’ industry while showcasing the machines' precision to potential buyers. Win, win! Sungard Availability Services. 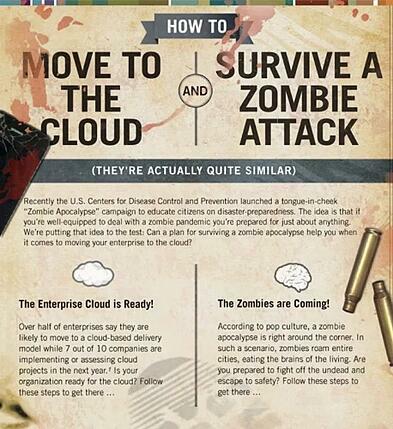 A provider of IT solutions for disaster recovery, Sungard Availability Services proved that B2B marketing doesn’t equate to boring with its Zombie survival kit. With an email to kick off its campaign and a Zombie Survival Kit giveaway on Facebook, Sungard found itself with metrics proving that bringing a little fun into B2B marketing has an impact. Slack. Slack provides team collaboration software with a side of fabulous B2B marketing. The company offers customers the opportunity to trial its product for free, and has utilized marketing strategies that maximize word-of-mouth referrals and social media through Twitter. And if there was any doubt about Slack’s success attracting and retaining customers, check out its No. 1 position on our list of the Best Software for 2018. We’re also a fan of Slack’s video marketing, which offers up a touch of a humor along with education about its product as well as the Slack and Salesforce integration features. Failing to segment your audience. Remember, most B2B purchases are made only after multiple people sign off on the decision. Sometimes there's even a rigid hierarchy of decision-makers! Marketers can't afford to lump them into one group and treat them identically. You might have engineers, sales professionals, and upper management considering one product. Marketing that accepts this (and speaks in a specific audience’s language, to their specific concerns) will truly resonate. Forgetting to identify conversion goals (and create content accordingly). Some B2B marketers try to blog, cold call, email, and maintain a presence on every social media platform under the sun. Without a plan in place, they find themselves completely overwhelmed. They can avoid this by mapping out the customer buying journey, and measuring the impact of activities on marketing goals. Relying on assumptions instead of data. Effective B2B marketing is part science and part art. But operating too strongly on intuition at the expense of measurable results is a recipe for disaster. Thankfully, a host of tools and technologies have made tracking this information easier than ever. Savvy B2B marketers put their hunches to the test quickly. They use data to see what works and what doesn't, and to continuously improve. There are almost as many approaches to B2B marketing as there are B2B companies themselves. Thanks to the massive popularity of digital tools, these continue to evolve by the day. Every B2B product or service, as well as the target audience, is a little different. Marketers have to adjust their approaches accordingly. Yet, over time a core group of techniques has proven effective across almost every B2B industry. Where the marketers interact with potential customers. This can include anything from direct mail to a social media platform. What the marketing material actually says. These are the substance of the interactions themselves. It might be educational content, a free trial, or an in-person conversation. Marketers adjust their messaging as leads progress through the sales process cycle. Messaging can also be affected by the company’s brand and tone of the marketing materials. Some B2B companies, such as those in the financial industry, tend to be more corporate and focus on logic and reason Others, such as advertising agencies, may take a lighter approach and use more humor. B2B channels are simply the avenues marketers use to connect with potential customers. The channel often dictates which type of messaging is ideal. Twitter is no place to share in-depth, technical content; you'd run out of characters! That would be a better fit as content on your website or a downloadable PDF. Offline. These are traditional marketing platforms such as in-person, over the phone, and print ads. If it doesn't happen on the internet, it goes here. Online. Anything and everything where marketers connect with an audience digitally. If you see it on your phone or computer, it happens here. Marketers were previously limited to offline channels, but the past few decades have introduced all kinds of new possibilities. We've never had more channels available to build relationships with our audiences. Just like marketing strategies, channels are continuing to change with technology. For example, television commercials were previously considered offline. However, with the rise of streaming services, like Netflix and Hulu, people are consuming more television on their phones, and the lines are beginning to blur. There's no reason to use one channel exclusively and ignore all the others. Now, B2B marketers can pick and choose from different offline and online channels, and test the results to see which channels work best for them. A multichannel approach can be the best way to make use of limited marketing budgets – and create a system more powerful than the sum of its parts. Your website is the hub or “virtual storefront” for all your activities online. B2B marketers use websites to blog, display customer testimonials, collect email addresses, and showcase their brand's products and services. Learn more on how to make a website. Popular social media platforms (like Facebook, Twitter, and LinkedIn) are a fixture of B2B marketing. Marketers can share content, showcase their expertise by answering questions, and post images that display the company’s culture and values. B2B video content is also growing in popularity, and companies are growing their presences on YouTube. B2B brands are also growing their presence on Pinterest, offering a great space for visual content such as infographics. Email marketing is one of the most common digital strategies around – and still incredibly effective. With regular messages, marketers can stay in touch and nurture leads, all from the convenience of their inboxes. Emails can include special offers, new products, or content that will be valuable for readers, keeping them engaged with your brand. The options for B2B marketers to advertise online are almost limitless. Some use banner ads on the top of websites, or pay-per-click ads on search engines. Another example includes paid social media posts. It might be all of the above! Some B2B marketers publish content beyond their own websites. The idea is to target highly trafficked and relevant places, connect with leads, and bring them back. Sharing content on websites such as Medium, Quora, and Slideshare can all help raise your brand awareness. Whenever possible, it is important to include a link to drive traffic back to your site. Just be sure to do it in a way that is beneficial for the reader and doesn’t seem like you’re pushing for a sale. Event marketing is one of the most popular offline strategies for B2B marketers. After attending and meeting industry insiders, marketers can segue into nurturing them. It's a tactical approach that's been effective for decades. Event marketing can include attending trade shows, sponsoring conferences, and hosting your own event. While it’s often forgotten today, direct mail remains a viable B2B marketing strategy. The first step is identifying key influencers on buying committees. Many B2B companies recognize that sending items such as chocolates, wine, or anything that people might appreciate can open doors. It’s especially great when you can find something that relates to your brand or has your logo, such as Moleskin notebook. Print ads continue to work well for B2B marketers – and they don't have to be massive billboards. Targeting specific newspapers, magazines, and trade publications is more cost-effective, and will help reach your target audience. Ads can target audiences by location as well, such as on a specific train line or bus route. B2B transactions rely heavily on personal connection and relationships. Sponsorships give marketers the ability to build that connection in a targeted way. While you'll typically see this at trade shows and other industry events, there are additional opportunities. For example, an insurance agency may sponsor a local charity event, or a big brand could sponsor national sporting events. We can't overlook the importance of interpersonal relationships. Working with firms that provide publicity, consulting, and research can help B2B marketers get valuable publicity. By building relationships with journalists and industry influencers, your company raises its brand awareness and bolsters its credibility. Learn how to write a press release to execute your next PR strategy. Choosing the right B2B marketing channel is important. With so many advertisements and brands competing for attention, it’s easy to get lost in the shuffle. Especially when consumers, both B2B and B2C, have so many outlets competing for their attention. Think of the amount of time you can spend across social media platforms alone! Some believe that our attention span is down to a little as eight seconds. Given the many platforms competing for our attention, and the number of brands which have saturated each one, pinpointing where to reach them is huge. But channel is just the first piece of the puzzle. Once you’ve chosen where to reach your audience, picking the right strategy is key. Tweets or LinkedIn posts that no one engages with are a waste of your valuable time. A defined marketing strategy will help you focus your time and increase effectiveness. Sales cycles in B2B are notoriously long and complex. Finding leads, nurturing them, and eventually convincing them to invest in your product doesn't happen overnight.Winning B2B marketing strategies convert prospects into customers. The marketers behind these strategies choose the right channels and messaging across multiple touchpoints. Each interaction builds on the last, helping to overcome objections and build trust. It's creating and sharing material that stimulates interest in your company's products or services. It could be written content, such as a blog post or an eBook, or a video on your YouTube channel. Content marketing isn't a “hard sell” strategy. The emphasis is on providing materials people will want to interact with. Often it is there to answer a question they have, or help solve a common problem you know your target audience may face. Successful brands have now become resource centers for their customers and prospects. This raises your brand awareness as prospects discover your company through the resources and content you provide. It also builds trust in your brand as people interact with you – the beginning stages of nurturing prospects. The topic of the content you publish may be about your brand or product, but it should not be the focus. Rather, focus on providing content that will assist your customers and prospects in their professional work. While many consider it a newer marketing trend, content marketing has been around a lot longer than you might think. John Deere, a manufacturer of tractors and other farm equipment, is one of the most famous examples. 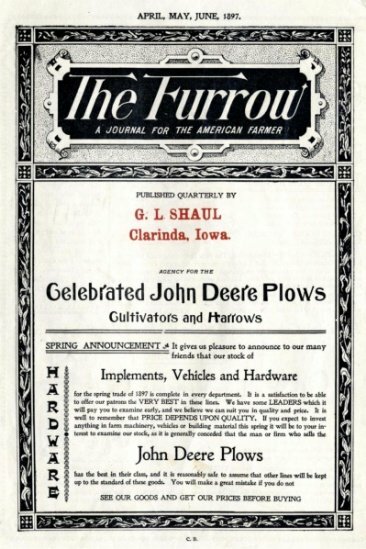 The company started publishing The Furrow, a magazine for farmers, all the way back in 1895! The internet has pushed content marketing to the forefront. Businesses can do research and find relevant information with the click of a mouse. B2B marketers who engage them during that process are more likely to win their trust. One thing that makes content for B2B incredibly beneficial: It's often inexpensive for marketers to create it and distribute it across multiple platforms. Blogs, for example, are a feature on almost any company’s website, ready and waiting to be utilized. The biggest cost for the company is simply having someone create the content. Blogs. Writing and publishing articles consistently builds credibility, and sets B2B companies apart as true thought leaders in their respective industries. Blogs can also drive valuable traffic to your website. Ebooks, white papers, and reports. This content lets brands get more technical and in depth on topics important to their industry or market, appealing to leads deeper in the sales cycle. Infographics and charts. Visual content lets viewers grasp technical content in a more accessible way. It's often some of the most commonly shared content, as visuals are so effective on social media and can tell an entire story quickly. Podcasts. Someone might not have time to sit down and read, but they could listen to a podcast while at the gym or during a commute. B2B marketers get access to a completely different audience by utilizing podcasts, and reach their existing audience as they go about their daily activities. Videos. Video content humanizes B2B companies. Marketers can slice it up into easily digestible chunks, and distribute it across multiple channels such as their websites, Twitter, Instagram, and YouTube channels. And now that smartphones with bigger screens are the norm, people are watching more video throughout their days than ever before. Getting started with content marketing can feel overwhelming. There are so many possibilities to explore. Fortunately, there are plenty of great resources to get you up and running. Account-based marketing (or ABM) is a popular strategy for B2B companies that sell to enterprise companies, or those with more than 1,000 employees. You may have heard the metaphor, “throwing spaghetti on the wall to see what sticks.” Instead of this ‘spaghetti’ marketing, which means attempting market to everyone without any targeting, ABM focuses on marketing to individual companies that will lead to big revenue. First, high-level target accounts are selected. Then, individuals at those companies who are key decision-makers are identified, and marketing efforts are focused on engaging those people. The goal is to build interpersonal relationships with people who will turn into prospects, with a foundation that lasts for years to come. It takes significant effort to research which companies and contacts to target. While doing this and customizing marketing strategies takes time, the effort is worth the reward when executed correctly. Landing and maintaining a few key accounts can have a huge impact on a company’s bottom line. Especially when you consider Pareto's Principle: 80 percent of revenue comes from 20 percent of the customers. Remember: B2B sales cycles tend to be long and complicated. The products are expensive. Deciding to buy requires a long-term commitment. There are typically many parties involved and several moving parts. All the more reason for B2B customers to invest with someone they know, like, and trust. Advertising. Working online, B2B marketers can be granular with their ads. Google and the most popular social media platforms, such as Facebook and LinkedIn, allow marketers to target specific audiences. They can customize their audiences down to the smallest detail, such as company size, location, and job title. Custom offers. Some marketers create unique offers for their most-desired accounts. By sharing their expertise or giving away something valuable, it's easier to get the right people's attention. This is also where direct mail, can come into play. As you and your sales team get to know prospects, note their specific interests. Remembering personal details can go a long way to show how much you value them, as a client and a person. Hosting Invitation-Only Events. Creating events to engage prospects (and nurture clients you hope will become brand advocates) is a great way to establish interpersonal relationships. It will give you a chance to truly get to know people face to face. And by targeting events to high-level prospects and customers, you give them an air of exclusivity, making them feel important for being invited. Instead of a dinner, you could also host networking drinks, a breakfast, or any kind of event which holds an aspirational quality. Training and Webinars. Aside from an event that is social-based, such as a dinner, you can also hold an event that will assist your clients in solving their problems. Giving new customers the attention they need to succeed will ensure that they make the most of your product, increasing the likelihood of an upsell. By hosting a webinar and other events, you'll have a great opportunity to interact with prospects, but make sure the content is of a high enough level to provide enough value. While it sounds like a redundant definition, marketing automation platforms automate your marketing, meaning you can “set and forget.” Instead of having to do individual tasks on a daily basis, marketing automation does the work for you. While getting started implementing marketing automation software can seem tricky, the results are well worth it. Once you set up these tools, they keep running automatically. They also allow marketers to create touchpoints that scale with your prospect database. Marketing automation can get quite complex. Features vary between platforms. Everything from capturing leads and sending email sequences, to creating custom landing pages and lead nurturing is available. In addition to maximizing a marketer’s time, marketing automation helps facilitate a great customer experience. The touchpoints a customer or prospect has with your brand will be personalized based on the actions they take. In addition, you can ensure you aren’t flooding a prospect with content they don’t want, while still providing them opportunities to learn more about your brand. Email marketing. Marketing automation has many aspects within B2B marketing. One of them is a drip campaign, which is designed to nurture leads. Marketers can have pre-written emails, (think of those as the “drips”), which are designed to be sent to prospects. Once a person signs up for emails, they will automatically begin to receive emails as scheduled. The emails they receive can also vary; for instance, if a prospect clicks on a link for more info, the drip campaign can be triggered to send them a follow-up email. Landing pages. While most of the content on your landing pages may remain static, marketing automation platforms can customize the experience someone has on your website based on where they are in the buying process. If someone is already a customer, a marketing automation system will recognize this and give them a CTA (call to action) button to learn more about how to better use product. Alternatively, if someone is not a customer, they may get a CTA to download an eBook or read other content marketing materials. Lead scoring. We’ll get more into lead scoring in the next chapter, The B2B Marketing Funnel. For now, think of Rob visiting your website and downloading an eBook. Marketing automation software recognizes this, and every additional action Rob takes on your website. This gives you a way to see how much someone is interested in your product and brand, indicating how close they may be to becoming a customer. Savvy B2B marketers understand that the most powerful messaging doesn't come from their own mouths, but from the mouths of satisfied customers. The biggest issue is credibility. B2B buyers are sophisticated. They understand that all those bold claims about the next miracle product might be too good to be true. B2B customers who are also marketers can be the toughest prospect – they work in the industry that is notorious for making those claims! Marketers have a vested interest in persuading them and overcoming objections. User-generated content helps get B2B customers overcome their skepticism. According to Demand Gen Report, only 34 percent of B2B buyers think that content from vendors is trustworthy. How do marketers overcome stats like that? One part of the solution is user generated-content. Since it comes from actual customers and users of a product, it helps establish trust and credibility that your brand does what it says it will. User-generated content comes in a wide variety of forms. B2B marketers can use it strategically to guide leads through the sales cycle. Referral calls. One of the most powerful types of user-generated content customers can give is access to their networks. If they love a B2B product or service, many are happy to share contact info of colleagues who might need similar help. Marketers can take advantage. Reviews. Reviews carry a bigger impact than other resources because they show the complete picture. 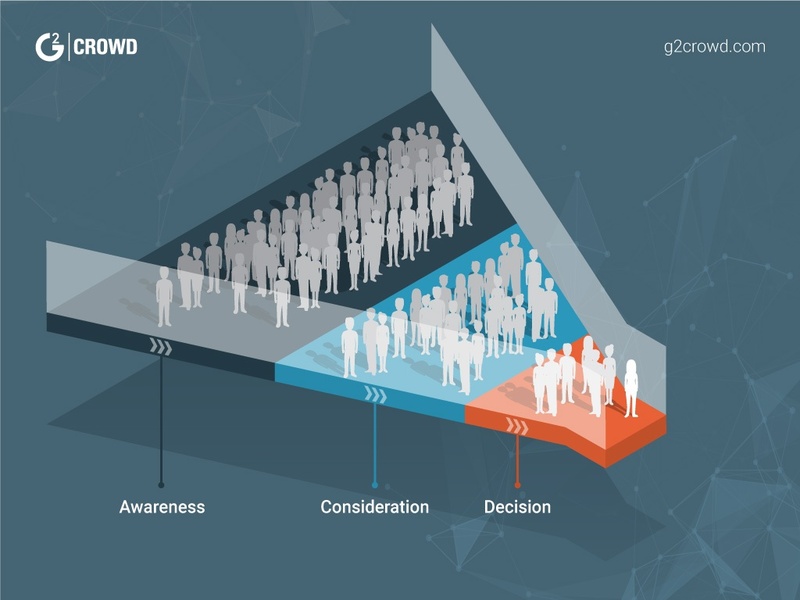 Compared to other user-generated content, where marketers can pick and choose their favorite quotes, reviews aren’t edited by the company (and at G2 Crowd, we verify that all reviewers are who they say they are and have actually used the product). They give the true, unfiltered story. Video testimonials. Videos allow B2B marketers to explore the “human impact” of their products and services. By revealing the people behind the organizations, they build powerful connections with potential customers. Written testimonials. Happy customers can tell more engaging stories than even the savviest marketers can. Featuring their experiences — how your product or services helped them, in their language — gives potential buyers someone to relate to. Case studies. These are like before-and-after snapshots of a customer's business. Marketers explain the initial situation and problem the business needed solving, then talk about what changed once the company added their product or service. Proven results assures readers that you’ve done it before – and you can do it again for them. A case study is user-generated content, since it sprouts from the customer and their experience. However, it is a little different from calls, reviews, and testimonials, because the marketing team writes the majority of the content. Read how to write and execute your next case study! Content Marketing Institute's User-Generated Content: Where Does It Fit in Your Content Marketing Strategy? Inbound marketing is a strategy that attracts an audience, identifies leads, and convinces them to become customers. It does this through helpful, relevant content, social media, search engine optimization, and much more. Picture a magnet drawing people in. This is different than outbound marketing, where brands take their messages to the audience instead of the other way around. Outbound marketing (like passing out business cards at trade shows) competes for a customer’s attention. Inbound marketing brings customers to you through a variety of channels. A huge part of inbound marketing is content marketing, and SEO within that content. SEO stands for “search engine optimization,” and it means improving your site ranking on Google, or another search engine, when people search for topics relevant to your company and your content. Keywords are a big part of this; they are the words and phrases that show Google what your content is about. Maximizing your keyword strategy can help improve your SEO and overall website traffic. But what are the other types of inbound marketing? Like content marketing, inbound value seeks to bring your audience value through education or entertainment. This is one of the reasons why inbound marketing and content marketing overlap so much. Quizzes, calculators, and guest contributions to other leading blogs all deliver valuable content to your customers or help you attract new customers. Let's take a look at those now! Calculators, tools, and quizzes. Creating a valuable tool potential buyers will use is one of B2B marketers' secret weapons. They provide a reason for someone to bookmark your website – and keep coming back. Contributing to popular publications and blogs. Writing guest columns for places like Forbes, Inc.com, or some of the largest blogs in your industry builds credibility and introduces B2B companies to new audiences. Posting on forums and Q&A websites. Some B2B marketers are active on these websites, such as Quora, because they have a lot of traffic and they're great opportunities to establish themselves as a thought leader. Another is HARO, which stands for “Help a Reporter Out.” The website gives journalists and industry experts the ability to connect with each other. Journalists get sources for their stories, and industry experts (like those at B2B brands!) get awareness and links to their websites. Search engine optimization (SEO). Implementing SEO best practices means tweaking website content, page URLs, titles, meta descriptions, and various other factors to increase your chances of ranking highly on major search engines. Boosting rankings can result in a significant increase website traffic and leads. Social media. B2B marketers can use social media platforms to share valuable content, connect with influencers, and build communities. Email Marketing. Opt-in email lists not only give people a way to interact with you, but those people are choosing to do so. By making it their decision, they are more likely to interact with what you send, rather than hitting that dreaded “unsubscribe” button. When you email contacts valuable content, you are also leading them to your website, increasing inbound traffic. Whichever strategies you choose, remember to set quantifiable goals and measure your progress regularly. Time and budgets are limited. Tracking performance will help ensure that you're making the most of each with your B2B marketing. It also helps you measure ROI and prove success to senior management. A willingness to continuously test and refine optimizes every B2B marketing resource you invest. As discussed when we compared B2B with B2C, it takes most B2B buyers a long time to research their business problems, explore potential solutions, and finally agree to purchase. This isn't like popping into a Gap store and picking up a few new t-shirts! The B2B buyer's journey is a long and winding experience. A marketing funnel is a visual representation of this journey. It is shaped like a funnel because of the vetting process within each step. The further you are in the funnel, the fewer leads there will be. Sales and marketing departments nurture buyers through the funnel. Moving from one step of the funnel to the next helps ensure no potential customers fall through the cracks. In the same way, the funnel prevents prospects from getting overloaded with content. Sending prospects content that isn’t relevant, or feels like you are pushing them, can cause people to stop interacting with your brand all together, and fall out of the funnel. That's why B2B sales and marketing create funnels. Funnels also apply to B2C marketing. These funnels put an order to the different stages along the way. This is where those marketing automation tactics come into play! They're like road maps people follow – all the way from initial awareness of their business problem to becoming a loyal customer. Just like real funnels, B2B marketing funnels start out widest at the top. They narrow after leads are identified, and keep narrowing until leads become customers. Marketers design unique content and interactions to appeal to people at every position within the funnel. To fully understand the B2B funnel, we must first take a look at B2B sales. Because their goals ultimately align with those of their sales teams – get more customers! – B2B marketers must also understand the sales process. It's a lot different than the approach we see from day to day in a B2C sales context. We're used to flashy magazine titles, retail associates telling us those shoes look good on us, and Girl Scouts ringing our doorbells trying to sell us cookies. The common thread tying them all together? B2C purchases often appeal to buyer emotions. This difference, as well as the others outlined in Chapter One, illustrate how B2B sales are much more formal and complex. They bring sophisticated buyers (people who are focused on making a smart investment) together with some of the best salespeople around. The appeal is rational instead of emotional. B2B sales is selling products or services to other businesses, typically: (1) at large volumes, (2) to a committee of sophisticated buyers, (3) with expensive and complicated products, and (4) with a focus on long-term relationships. B2B sales can also be defined as selling products or services to businesses, which use them for production, general business operations, or resale to consumers. In simple terms, B2B sales is one business selling to another. Where B2B marketing promotes the product, B2B sales gets the signature on the dotted line. While they do share the same broad goal (getting more customers! ), sales and marketing have a lot of nuances that make differentiate them. Becoming a world-class B2B marketer requires a different skill set than becoming a great B2B salesperson. Sales conversations typically happen on a one-on-one basis. The goal for sales reps is to convert prospects into customers. Usually, when reps begin interacting with a prospect, they have already engaged with marketing content. Many sales conversations use “old school” technology. The price and complexity of B2B transactions make them well suited for phone calls and in-person visits, although email is still a necessity. Sales focuses on fulfilling demand for products and services that already exists. The biggest challenges for salespeople include navigating human psychology, overcoming objections, and knowing which leads to focus their limited time and attention. Sales requires an extra level of persistence due to the rejection reps often face. Marketing conversations typically happen at scale. Email, social media, and other technologies help us reach many potential buyers at once. The goal for marketers is twofold: First, marketers want to increase brand awareness and make potential customers aware of their product. Next, they want to keep these prospects engaged and interacting with the brand. By providing education about the product or service, marketers also hope to convert prospects into customers. Leads for products and services with a high price tag are passed to sales. B2B marketers use a mix of traditional and digital communication platforms, both online and offline (as discussed in Chapter Two). Marketing focuses on raising awareness of problems and cultivating demand for a solution. The biggest challenges for marketers include determining which channels and strategies to use, designing content for everyone in the funnel, and tracking performance. Now that you have an understanding of the relationship between sales and marketing, we can look at how they relate to each other within the marketing funnel. So what is the "funnel"? The marketing funnel aligns with the buyer’s journey. This is how businesses (and the people at those businesses) come to become a customer of your company. It is called the “buyer’s journey” because it is the path potential customers follow from the beginning stages, where they learn about your brand, through to the final stage, when they (hopefully!) become a customer. There are three stages: Awareness, Consideration, and Decision. Awareness. Awareness is the stage in which people become aware of your brand. It may happen once people know they have a problem to solve and begin looking for providers that will solve that problem. At other times, they may come across your brand through one of those fabulous marketing strategies we discussed above, such as content marketing. Someone may stumble upon your blog or e-book, or have it sent to them from a friend. Regardless of how it happens, this is where people find out: 1) Your company exists and 2) what your company does. Consideration. Once a buyer (or prospect) is aware of your company and knows your company can bring benefit to their business, they are at the consideration stage. This is the point where they are ready to learn more about your product. Often, buyers are researching potential solution providers online – which means they could be considering your competitors too! This is the stage where prospects may speak with someone from your sales team. Decision. This is it – the final stage. Will they or won’t they – can you get them across the finish line? Decision stands for “purchase decision,” meaning it is time for them to decide what they will do. There are basically three options; they can decide if they will: 1) purchase from you, 2) purchase from someone else, or 3) wait and not purchase at all. By this time, they will have all of the pricing information, which can have a big impact on their decision. Marketing metrics are a way to measure success, and how many people there are within each stage of the funnel. It is natural to have fewer and fewer people at each stage, hence the reason the call it a "funnel," as the number of people gets smaller! Web visitors - people who come to your website. Leads - individuals for whom you have contact or demographic information, such as name, title, and email address. MQLs - business consumers who have interacted with your brand, or have the demographic fit showing they fit the profile to potentially become a customer. SQLs - buyers who have been individually vetted by the sales team. This is an extra qualification step done on an individual basis, determining if a buyer is ready to speak with a sales representative. Sales opportunities - prospects who have spoken with your sales team, and say they are interested in your product and would like to know more. Customers - the final step! No longer a prospect, the individual's company now uses your product or service. If any of those terms don't make sense, no need to fear! We've got plenty of additional information about each step, including the trickier ones like leads and MQLs. Let's look at each of them more in depth, starting with the first metric we can measure: website visitors. The first step of the B2B marketing funnel often starts from visits to your website. When someone visits a page on your site (thanks to all of that fabulous inbound marketing), there is an opportunity for them to enter into the marketing funnel. Once they fill out a form to download a piece of content, you have their contact information and they are ready to progress into the lead stage of the funnel. In the simplest terms, a B2B lead is a potential customer, or a prospect, for a B2B company. Once they have taken an action to interact with your brand, such as subscribing to your newsletter or downloading a piece of content, they can enter into a nurture campaign. Leads can also come from face-to-face interactions; if you are sponsoring an event and someone stops by your booth, you can scan their attendee badge (usually their name tag) and get their contact information. Following the event, you can upload any names you have scanned, as well as any business cards you may have received, into your CRM system or other database. At the highest level, a lead is any person or business that you believe would benefit from your company’s product or service. But there's a lot of work left to be done. Many new leads are still in the initial stages of the buyer's journey. They might have just become aware of their business problem, and they're a long way from considering the ideal solution. The idea is to build a pipeline full of leads at various stages of interest. This helps B2B companies grow sustainably instead of having lots revenue for a few months, then struggling when the leads dry up. It only takes that first step to place a lead into a marketing funnel. If all goes well, they'll make a series of escalating commitments until they're ready to make the largest one: becoming a customer. Not all leads are created equal. Some are desperate for a solution and willing to buy right now. Others are still educating themselves about their options. And then there's everyone in between! Lead scoring provides a way to show how likely someone is to become a customer. The goal of lead scoring is to identify prospects, or leads, that are mostly likely to buy based on their interaction with your marketing campaigns, as well as their demographic and firmographic data. How does it work? One of the most common tactics is to use marketing automation software, which most products do automatically. Leads are given points based on a variety of factors. When someone fills out a form on your website, you will have their details. Depending on what details are required on the form, and how powerful your marketing automation software is, some of the information you could end up with includes their name, title, company size, and location. All of these can impact their score, based on how much impacts their likelihood to become a competitor. Lead scoring helps marketers understand how engaged a lead is in the marketing funnel. That makes it easier to create relevant content and interactions, and move them closer to becoming customers. Lead scoring is also useful for those working in B2B sales because resources are limited. We only have so many hours to schedule meetings and make phone calls. Salespeople can focus on leads with the highest scores to improve their close rates. Points can also be given to a lead based on their interaction with your brand. We’ll dive into deeper into that in our next stage of the funnel: MQLs. And what is an MQL? An MQL is someone whose engagement levels suggest that he or she shows the potential to become a customer. In addition to demographics information, leads also receive points when they interact with your brand. Participating in a webinar, downloading content, or seeing your company at an event are all interactions which result in points. Interactions with your brand are weighted – the more important the action, the more points the lead gets. If someone requests a demo, they’ve shown a true interest in your product. This would be worth more points than downloading an eBook. The goal is to label a lead as an official MQL when they are ready to interact with your sales team. Once leads have reached a minimum point value, they become an MQL. Traditionally, an MQL was someone who responded to an outbound marketing communication channel. But now, in a time where the average B2B buyer is 57 percent of the way through a purchase decision before even talking to a sales rep, it's a bit more complicated. MQL criteria and lead scoring vary based on the B2B company.Let’s look at one example: Say you're an enterprise software company. Working together, sales and marketing management have decided leads need a minimum of 25 points to become an MQL. Two people, Rob and Maria, download your guide about network security in exchange for filling out a form, where they each provided their name, company, company size, title and email address. Each of them receives five points. But only Maria reads the guide and clicks on a link within, which leads her back to your website. Once there, she downloads another piece of content, giving her another five points. Maria is a more valuable lead because she has shown more interest in your company. Now let’s factor demographics into the equation. Rob’s company is a small business with only six employees. Given the high price tag of your product, he loses three points, now down to two. Maria, on the other hand, works at an enterprise company with more than 1,000 employees, and she is a director of her company. She receives three points for each of those items, bringing her to 16. In the next three months, Mary receives multiple emails from your company. She opens six emails and clicks the links on two of them, giving her another 10 points, for a total of 26 points. Congratulations – Mary is officially an MQL! Key content actions. Interactions with any of your website’s content pieces are great reasons to give a lead points, as is opening emails and clicking on the links within. Consuming in-depth, specialist content about your product may earn extra points. Key website actions. If a lead spends a lot of time on a pricing page or returns to it multiple times within a short period, that could mean he or she should be an MQL. Demo requests. Having a visitor request a demo or more information is probably the most obvious sign that a lead is marketing-qualified. This is definitely significant, and therefore worth more more points than downloading an eBook. Face-to-face interactions. If you have an event you are hosting or sponsoring, and someone interacts with you there, this is a great reason to assign them points. Demographics. As discussed, for many B2B companies points are often given for a person’s title and company size, as well as other potential factors such as their industry and location. MQL scoring is flexible. The allocation of points can change over time as marketers optimize their strategies and learn more about what makes their leads and customers tick. It’s important for marketing and sales work together on an ongoing basis. Lead scoring, lead quality and MQL conversions should be re-evaluated periodically as a joint effort between both teams. This ensures the quality of leads that best suits your business. At some companies, the sales team may prefer a higher number of MQLs with a lower threshold. Other businesses may prefer fewer leads that are all high quality. Once a lead has crossed the line to become an MQL, it’s time for the next step – an SQL. Once a lead has qualified as an MQL, it has been passed on as sales-ready. It’s time for sales to do its vetting process, and determine if the lead passes the test to be an official SQL. And what could SQL stands for, but (wait for it…) “sales qualified lead.” It’s not too surprising since you know what MQL stands for! While you may have a large number leads who score highly enough to become an MQL, not all of them are ready to become an SQL. 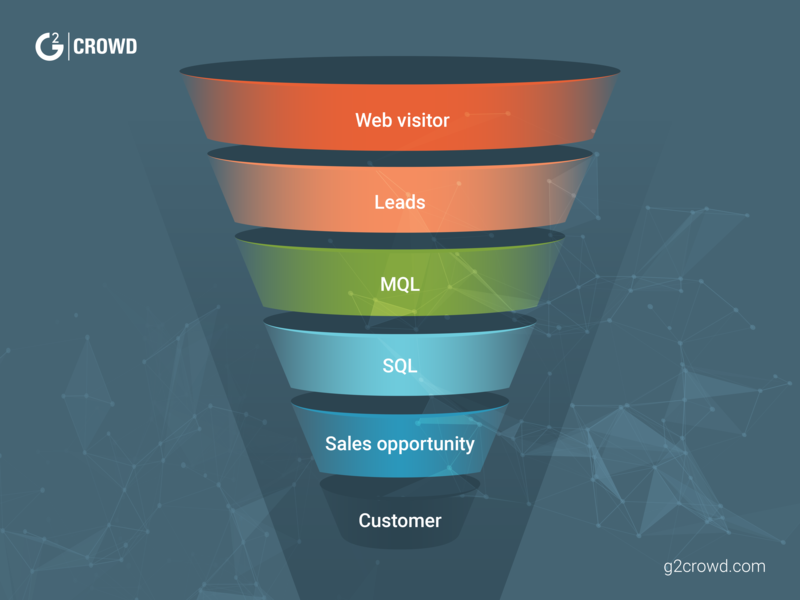 This perfectly illustrates the marketing funnel – it gets smaller as fewer and fewer leads pass through to the SQL phase. MQLs often come from automated lead scoring systems, which can have their drawbacks. For example, there could be a small-business owner who loves your content and downloads it on a regular basis. Despite running a small company with no budget to actually invest, that owner will continue getting points as she downloads your content. This is where SQLs come into play – they require a bit more digging, and are done by an real live human being. This step is usually done by a BDR (business development representative) or SDR (sales development representative.) This person looks at all of the data passed onto them from marketing, and decides if the lead is in fact as good as their lead score indicates. Once it is accepted, the BDR or SDR will work on qualifying it for sales. If it’s not accepted, it is usually sent back to marketing for continued nurturing. This is sometimes called a “recycle” program. Budget: Does the lead’s company have the budget to buy your product or service? If they don’t, it doesn’t matter how much they love your product, the conversion isn’t going to happen. Authority: Does this particular person have the authority to give you the green light? While it can help to have staff at every level advocating your brand to their managers, ultimately you need to connect with the final decision-makers. Without their approval, you can’t make the sale. Need: Does this lead need your product? They could think that it’s amazing, but if their company or industry has no use for it, there’s no point spending your time on them. Given that there can be a bit of crossover there, let’s take a closer look at MQLs and SQLs side by side. MQLs have been qualified through the marketing lead scoring process, but have not passed onto sales. MQLs are usually determined by an automated system. As soon as their lead score hits the required minimum, they become an SQL. MQLs may be earlier in the buying process. They may be interested in your product, but won’t be converting to a customer any time soon. They need a little more nurturing. MQLs may not be ready for a one to one interaction. For example, even if someone qualifies as an MQL and is passed to sales, if they don’t pass the test to become an SQL, they can stay in an MQL nurturing cycle. SQLs have been qualified by both the marketing and sales team. SQLs require a personal touch. Members of the sales team will research and investigate the lead to see how likely they are to actually convert. Ideally, SQLs are in a position where they will be ready to convert without a lengthy nurturing process; avoiding a sales cycle that could lasts months or even longer. SQLs are ready for a one to one interaction – it’s time for a phone call from sales and a true interpersonal interaction. You are on to the next stage of the funnel! Now that your lead has qualified as an SQL, it’s time for sales to introduce their personal touch. Often this takes place with a phone call, which could have been set up via email. It could also be a face to face meeting, be it at a tradeshow in a meeting room, or at someone’s office. Regardless of the channel or place, it is an interpersonal conversation. While it is often one to one, a prospect may have other team members who are also decision makers present. This gives sales the opportunity to find out what’s important to this specific prospect. Your sales rep can understand the individual’s pain points, and address how your product overcomes them. In addition, they can also register any hesitations, so they are prepared to overcome them should there be another call. Given the complex nature of B2B sales, a conversation is needed for prospects to invest in your product. Software, for example, can call for a significant commitment. In addition to the financial aspect, employees will be investing their time as they learn how to use a new product. And really, when you think about it, are there any sweeter words to a sales rep? That sentence is music to their ears! And yours too – all of your hard work marketing is paying off! You’ve made it – the final stage of the funnel! The prospect has shown an interest in your product. They’ve even shared their time and met with you, and want to move onto the next stages. Now it’s the final steps to cross the finish line – getting that contract signed to turn your prospect into a customer. This may take several meetings and could be affected by a variety of factors, such as overcoming uncertainties about your product and getting additional information for the prospect’s coworkers. In addition, the time and money required to adopt your product will also be a factor for the lead. Committing to a short-term project with a marketing agency may only require one meeting, while big-ticket investments to be utilized for years to come require more consideration. Even if a lead backs out at the last moment, they may remain in the marketing funnel. Sales and marketing will look for – and create – opportunities to try again! Given the process just illustrated in the marketing funnel, it’s clear marketing and sales depend on each other for success. However, this was not always so obvious. The traditional perspective was that each aspect of running a business – such as customer service, product development, sales, and marketing – was a separate “silo,” offering little to no collaboration with the others. But the evolution of digital tools, big data, and customer preferences are breaking down those silos! Now more than ever, B2B teams are working together to create unforgettable customer experiences and make more sales. Yes, there are some differences in primary focus. B2B marketers aim to make brands more visible, capture leads, and nurture them until they're ready to talk with a sales rep. Salespeople are eager to get on the phone and close deals. But both are concerned with seeing the business grow. As you'll see in just a second, these responsibilities are merging in interesting ways. “Smarketing” is a play on words that combines sales and marketing. You only have to turn to the word itself to understand what it means: the unification of the two functions. While B2B marketing previously focused on branding, the rise of various sales and marketing software types has resulted in a shift to the marketing strategies outlined in Chapter Two, such as demand generation and account-based marketing. The effectiveness of these strategies depends on sales and marketing working together. Instead of maintaining separation from each other, smarketing reminds us that marketing and sales share the same goal: increased revenue. There's an emphasis on using data and the same criteria for leads, and not simply monitoring each other's progress and goals, but actively supporting them. The results of smarketing speak for themselves. One study from The Aberdeen Group found that companies where sales and marketing departments were closely aligned increased their revenue growth by an average of 20 percent. Sales and marketing might have different functions. But they're united under the same goal: business growth. Without marketing, salespeople wouldn't have any qualified leads to contact. They'd waste countless hours with a scattered, inefficient approach. In addition, marketing provides the sales collateral to help convert prospects. Alternatively, without sales, marketers would be creating content that is ineffective and a waste of time. A deeper understanding of customers. The sales team gets to experience something that marketing often doesn't: one-on-one conversations with potential customers. These conversations are packed with insights we can't find anywhere else. Patterns emerge about common struggles, questions, and areas of confusion. All of that helps marketers flesh out better customer personas. Marketers can translate these pain points, objections, and feedback into great new content designed to address the issues faced by their true prospects. Fresh ideas for content marketing. Marketers have a huge number of options available to them in creating content. From top-of-funnel content for inbound marketing, to sales collateral for use in later sales stages, it can feel like the channels and topics to write about are endless. By working with sales, marketers can discover new content to create. Sales may be able to assist in which channels customers are in, or gaps in collateral that need to be filled. Optimal use of labor-intensive sales resources. Because most sales conversations are one on one, they're extremely labor intensive. Working with marketers to determine which leads are furthest along in the funnel helps them prioritize their efforts more effectively. They get to focus on the people closest to becoming buyers. Seamless handoffs of leads. It's so important for marketing and sales to be on the same page with this. After spending significant time and effort nurturing market-qualified leads, no one wants them to slip through the cracks. Settling on proper MQL and SQL metrics, as well as a hand-off process, lets companies the most of every opportunity. If marketing and sales have been operating separately for a long time, it's only natural for challenges to arise when they start working together. Appreciate one another. While this may seem like a given, when we get wrapped up in our own daily tasks and stresses, it is all too easy to forget. Rather than complaining about the other team (“These leads are terrible,” or “How come they aren't closing any deals?”) find opportunities to build each other up. Marketing can thanks sales for helping them create materials that have an impact. Sales can thank marketing for creating effective sales collateral. By appreciating everyone's role and brainstorming together, you can come up with some great marketing materials and generate revenue. Get sales involved in content creation. One-on-one conversations with prospects offer sales many valuable insights. Unfortunately, B2B marketers don’t always take advantage of this information. Picking salespeople's brains, or sitting in on sales calls, will spark all kinds of ideas for new content – especially for leads deep in the funnel. Share data and unified buyer personas. We want to avoid marketers thinking they're sending perfect leads to the sales team, only to discover that they're poor fits. Marketing and sales can work together to create personas of who ideal customers are, how they behave, their preferences, and much more. Give proper notice. Whether you're a marketer sending out communications about a product update or a sales representative requesting new collateral, let the other team know what's happening with as much notice as possible. With proper advance notice, each team can prepare adequately and shift their work loads appropriately. Listen. The classic communication problem? Everyone wants to talk, no one will listen. B2B companies can avoid so many issues by employees simply trying to understand each other. Give your sales or marketing colleagues the respect they deserve. Hear them out and clarify their instructions or requests if needed. Your success depends on it. Meet and collaborate regularly. Collaboration between sales and marketing isn't a “set-it-and-forget-it” proposition. Set aside some time to meet regularly. This will keep everyone updated on what's going on and always focused on improvement. Stay open minded and welcome discussion. Whichever team you're on, make yourself available for questions and discussion. It's easy to fall into old biases from past relationships, so commit yourself to keeping an open mind. Remember that everyone has the same goal here. If something different promises better results, then by all means, make a change! While we've covered many marketing strategies so far, a big part of successful implementation can depend on having the right tools to execute those strategy. Effective B2B marketing all comes down to priorities. We have to choose the right combination of messaging and channels for the right people, at the right time. Better to do a few strategies well than try to do everything and spread yourself too thin! How can B2B marketers make these crucial decisions? And, once they have, how can they stay efficient with their time and limited resources? Fortunately, there's a huge variety of B2B marketing software available. This software is powerful – and getting even more powerful by the day. Have a look at the list below. There's a little something for everyone looking to take charge of their B2B marketing campaigns. Customer relationship management (CRM) systems act like a powerful database, and help businesses track and manage every sales interaction from a single system. This powerful software is the hub of marketing automation, enabling contact, account, and opportunity management. Learn more about CRM software. Email marketing software helps B2B marketers build a list of subscribers, communicate with them all automatically, and nurture leads toward purchase. Imagine being able to follow up with everyone on your list (or specific segments) – all by sending a single email. The software also allows marketers to create eye-popping emails with custom templates, segment lists, split-test different versions of emails, and track key metrics, including open and click-through rates. Learn more about email marketing software. Social media marketing software allows B2B marketers to monitor and control all of their social media accounts from a central hub. There are lots of choices here, and features vary greatly. Products like Buzzsumo are focused on connecting you with social media influencers. Other platforms like Hootsuite and Cision let you schedule upcoming posts and check your analytics. And then there are tools designed for various tasks such as Bitly, a link shortener, and PromoRepublic, which generates ideas for social media posts and automates their promotion. Learn more about social media management software. Event marketing software seamlessly blends the traditional with the digital. Event management platforms are great for B2B marketers who are managing events, trade shows, conferences, and professional meetings. The features are designed to keep everything – from venue selection and payment processing, to live audience polls and slide sharing – running smoothly so you can focus on building relationships that last. There are many other event management software types to help you run the best events possible. Learn more about event management software. Marketing automation software handles tedious, repetitive tasks so marketers don't have to. Marketers control the system, specifying certain criteria and outcomes to trigger tasks, which the software executes. You'll see this in a range of situations: email marketing, social media, lead generation, and more. These tools boost efficiency and create better experiences for leads, and reduce human error. Learn more about marketing automation software. Analytics software helps B2B marketers better understand their campaigns and the people they're trying to reach. It tracks user behavior, showing marketers how they react to digital content. This helps them allocate their time and budgets more efficiently. They can invest more into what's working well – or tweak low-performing initiatives to perform better. Learn more about analytics software. Public relations (PR) software helps B2B marketers build connections with members of the media and other key influencers. These publicity opportunities, when targeted to reach the right audience, can be extremely valuable. PR software also helps companies monitor how their brands are being perceived and take corrective action if needed. Learn more about public relations software. Account-based marketing (ABM) software helps B2B marketers and sales work together to land (and manage) carefully selected key prospects. ABM software transfers information between contacts and their linked accounts automatically, fosters communication of account-level details between sales and marketing, and manages the marketing funnel. The software also helps everyone understand exactly where each account has engaged throughout the sales cycle. Learn more about ABM software. Demand generation (also known as demand gen) software is all about getting people excited to interact with you and your brand. The goal is to create and maximize valuable content, measure its effectiveness, and get prospects demanding more of it! Different approaches, like brand advocacy, gamification, lead generation, and loyalty management can all assist in creating buzz. The software doesn't just help marketers at the beginning of the sales cycle; it engages leads all the way throughout. Learn more about demand gen software. Before we conclude, here are a few influencers in the B2B Marketing world to get your creative juices flowing. Check out their websites, follow them on Twitter - see how who they follow on Twitter! You're sure to find a great source of inspiration from them all. Ann Handley is a name known and loved by content marketers far and wide. 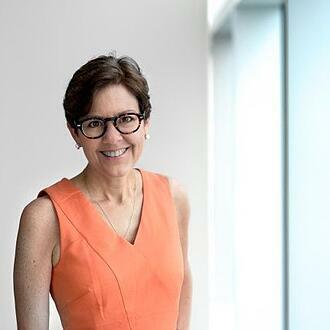 In addition to her role at MarketingProfs, Ann was recognized by Forbes as the most influential woman in Social Media Marketing, co-founded ClickZ.com, and was named one of seven people shaping modern marketing. Oh yes - and Ann is a New York Times bestselling author for her books on business writing, plus she’s an amazing keynote speaker. Those who have the pleasure to learn from Ann leave inspired and ready to write content that converts. How can we not love someone who starts her company’s conference with tap dancing? 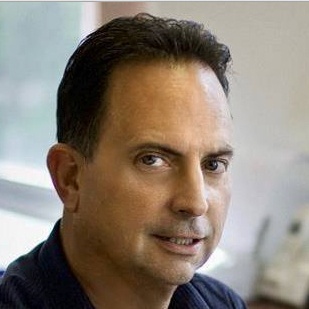 Jeff is an author and keynote speaker recognized by B2B Marketers worldwide. An Australian who started with a $10 investment in a passion project, he now has a website with millions of visitors a year and over 600,000 social media followers. In addition to Forbes naming Jeff one of the Top 20 Influencers of Chief Marketing Officers in both 2017 and 2018, he has also been recognized as the number one global “digital marketing influencer” and the world’s number one business blogger. Jeff executes his mission of inspiring and educating entrepreneurs to “win at business and life in a digital world” through his content and educational and consulting services. 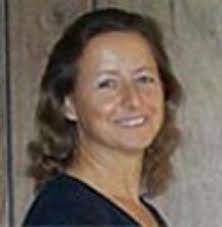 As the founder of GrowMap.com, Gail specializes in providing expert advice to small businesses. She spent 23 years working at IBM, where she started as one of the first women computer technicians. During her time there she progressed to managing major client accounts, including those with multi-national networks. Gail’s passion to help marketers (regardless of their budget!) has benefitted many B2B small businesses, and established her place as an influencer in B2B marketing. In addition to receiving three Small Business Influencer Awards from Small Business Trends, GrowMap is also listed as a Cision Top 100 Site for Marketers. 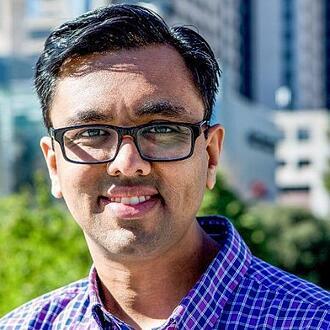 Hiten is currently putting his expert B2B strategy into not just one but three businesses he has co-founded: Product Habits, Quick Sprout and Crazy Egg. In addition, he is the co-founder and former CEO of KISSmetrics, an analytics platform design to help companies understand consumer behavior on their website and products. Additional companies he has advised, invested in or worked at include LinkedIn and Slideshare. Hiten is full of advice for entrepreneurs and startups, including one we should all remember: "Learn to say that you need help and don’t see it as a weakness. See it as a point of strength." The world of B2B marketing is constantly evolving, but you're well on your way to becoming a master. The tools and platforms change; however, the fundamentals of what it takes to connect with potential customers remain constant. Now you have a good grasp of them: You understand the unique challenges B2B marketers face, as well as the strategies they use to overcome them. That strategic knowledge is the first step to dialing up a winning B2B strategy. Testing different messaging and channels – and tracking the results closely – will help you make the most of every effort. And don't forget to get the sales team involved! If you want to explore some of the awesome software or think you'll have questions later, go ahead and bookmark this page. You can refer back to it whenever you need a refresher - we’ll always be here! B2B marketing strategies include a variety of tactics. They can take place digitally – essentially anything online – or offline – meaning anything which doesn’t require the internet. Offline B2B marketing strategies, otherwise known as channels, include print advertisements in trade magazines and face-to-face interactions at events. Within those two channels there are a many strategies B2B marketers can choose from. When marketing to large “enterprise” companies (those with more than 1,000 employees), marketers may take a more technical approach with tactics such as account-based marketing. B2B companies of every size partake in other strategies, such as content marketing utilizing blogs and emails, or user-generated content such as testimonials. Read more about these and other B2B marketing strategies. B2B digital marketing covers all marketing activities that take place online and are directed towards businesses. This includes websites, email marketing, blogs, and digital advertising, such as the banner ads you see across the top of websites. Social media is another form of digital marketing; every single platform needs the internet to make it happen. Many forms of content marketing are also digital marketing. Digital marketing is also known as online marketing. Read more about digital marketing. What is a B2B business with an example? “B2B” stands for “business-to-business.” A B2B business is a company that sells its products and/or services to other businesses, rather than individual consumers or households. The connections between B2B companies and their customers often occur through sales and marketing, be it digital interactions online, or interpersonal relationships through phone calls and meetings in person. An example of a B2B business is a law firm that provides its legal services to an insurance company. See more examples of B2B businesses. What is B2B marketing with an example? B2B marketing is one business promoting its products or services to other businesses. There are many ways this is done. One example is event marketing: An advertising agency might host an exclusive party and invite its best customers and prospects. 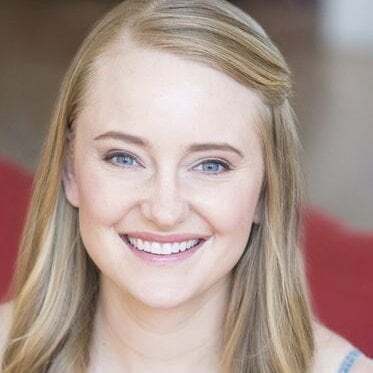 Another example is a production company that sends out a weekly email newsletter with video production tips and tricks. In doing so, they are building a relationship with the companies they would like to provide their video production services. See more examples of B2B marketing. B2B event marketing happens any time a B2B company hosts or sponsors an event to promote its products or services. A marketing agency could host an exclusive dinner for VIP prospects, or a software company could host a party for a product launch. Companies such as Samsung, which provides radiology equipment to hospitals, can attend trade shows. At the trade show it can then showcase its product, give demos, and connect sales with prospects. A professional association can host an educational conference or, on a smaller level, simple networking drinks after work. B2B event marketing can even apply to digital events such as webinars. 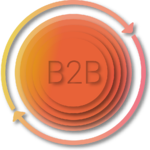 What is the B2B process? B2B process is the practice of one business selling the products or services needed by another business. Looking at an example, the process becomes crystal clear: Say there’s a restaurant supply store selling wine glasses in bulk to a catering company that services corporate events. In order to sell those glasses, the restaurant supply store must buy them from the manufacturer. The manufacturer, in turn, must also buy materials and equipment to make the wine glasses. Each of these transactions show the B2B process. These examples highlight one sequence of B2B processes, but it can be applied to so many industries. Read more about the B2B process. B2B marketing promotes goods and services to other businesses, while B2C marketing promotes goods and services to individual consumers, or households. If someone is involved in making purchase decisions for their business, they will most likely receive B2B marketing messages. On the other hand, pretty much everyone receives B2C messages. Every time you see a television commercial (or any for kind of ad!) for a car, restaurant, or even a pack of gum, you are seeing the results of B2C marketing. B2B marketing (and, subsequently, B2B sales) often requires a longer process; prospects are typically nurtured through the marketing funnel before a sale is made. For this reason, B2B marketing messages tend to be more rational than B2C marketing messages. B2C marketing can be more emotional, as many B2C purchase decisions are made more quickly. Read more about B2B vs B2C marketing. Is Facebook a B2B or B2C company? Considering Facebook is used by individuals for entertainment purposes, the company may seem B2C at first glance. However, Facebook is a B2B company due to its revenue model. Facebook makes money through the ads businesses pay to post on its platform. Since Facebook is selling to businesses, providing them with a channel to reach their prospects, Facebook is primarily a B2B company. What is B2B social media marketing? B2B social media marketing applies to any business using a social media channel to promote its product or service to other businesses. From Twitter and LinkedIn, to Facebook and Snapchat, more and more B2B marketers are using social media to amplify their brands. Social media gives a free platform for B2B marketers of any size to increase brand awareness, engage customers and prospects, and drive traffic to their websites. In addition, B2B social media marketing offers paid advertising solutions that can target highly specific audiences. For example: on LinkedIn, marketers can target sponsored content to users based on location, job title, and company size. Is Amazon a B2B or B2C company? Amazon is both a B2B and a B2C company. While many primarily think of it as B2C, (who doesn’t love two-day shipping? ), Amazon is also a supplier for B2B companies. From kitchen supplies (such as coffee and tea), to office supplies (such as stationary, computer equipment, and chairs), Amazon can provide businesses with just about everything they need. It is also a source of supplies to companies who sell B2C goods and services. For example, a local business may specialize in parties where attendees receive a short art lesson and paint a picture. When that business uses Amazon to buy paint and brushes, Amazon is a B2B company. On the software side, Amazon is also a B2B company with their wide range of services available through Amazon Web Services (AWS). AWS is a cloud platform designed for businesses of every size. Services it offers include cloud storage, application integrations, and API integrations. What is B2B e-commerce with example? B2B e-commerce is any product a business can buy online. Amazon is one of the most common sources of e-commerce, as many businesses utilize their Amazon Prime accounts to buy office supplies without an expensive delivery fee. E-commerce is especially beneficial for goods that are purchased and consumed on a regular basis, such as coffee, snacks, paper towels or post-it notes. Any office supply company that sells these items online is conducting B2B commerce. Another example would be any wholesaler, such as a company that imports t-shirts and sells them to a shop that screen prints and sells custom clothing. What is content marketing for B2B? Content marketing for B2B companies means creating content, in any form, that prospects and customers will want to read, watch or listen to. This gives brands a way to grow brand awareness, interact with potential customers, and build a relationship with them. It is the same way content marketing is used by B2C companies. Content produced from this technique includes blogs, videos, infographics, and podcasts. B2B content marketing is produced with the intent to engage a very specific target audience – their current and potential customers. What will their prospects legitimately want to read? Content marketing offers an educational or entertainment benefit, and is usually related to the customer’s or prospect’s specific role or industry. Some content, such as eBooks or white papers, may also be “gated.” This means that website visitors are required to fill out a form – often providing their name, email address, or other details – to download the content. They may then be added to a subscriber list, where B2B marketers can continue sending them valuable resources. Learn more about content marketing for B2B. ENJOYING OUR B2B MARKETING GUIDE? Want to save this b2b marketing guide for later? Send it to yourself now for free.